Prices of gasoline and other petroleum products have been increasing unabated every year causing concern among all the users of these fuels. 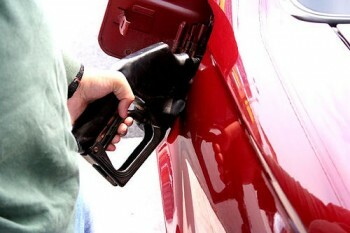 Many consumers are having serious trouble in meeting their monthly budget because of soaring gasoline prices. The media is doing its bit educating people on the spurt in gasoline prices and how these rising prices are responsible for high inflationary trends in the economy. The increase in crude oil will correspondingly increase refining and distribution costs. The rising gasoline prices also have spiraling effect on the prices of other commodities. As people start driving to one gas filling station to another looking for the best bargain prices of gasoline, they are surprised to find that in each passing filling station the gasoline prices go on moving upwards. They realize that there is no other choice except to fill up the gas because while searching for a suitable gas station, the tank would have become empty. Although it is quite clear that higher gasoline prices are due to regular increases in the prices of crude oil, the major raw material, which when refined will yield many petroleum products such as gasoline and diesel. It is not clear why higher prices are being charged for these products already manufactured from crude oil before its price rises. Gasoline manufacturers and distributors argue that the increase of finished products, such as gasoline prices needed increase because of increases in refining costs even when the crude oil prices were lower. However, their arguments are not convincing as they are not willing to sell their existing stocks of gasoline and diesel that were produced at old prices, before the refining costs went up. They still argue that they had to charge more as they feel that replacing the present stocks of these finished products will cost more. They have no answer why are not selling the present stocks for less on those unusual situations when there is a reduction in crude oil prices, knowing full well that that they can replace it at a lower prices. They continue to argue that fuel manufacturers continue to argue that had to pay more to refine the crude oil presently in stock. These types of arguments lead to constant increases in prices of gas and diesel. The soaring price of petroleum products is a worldwide phenomenon and the individual consumer has no say whatever in arresting the price increase. As there is no end to these types of arguments of the producers of petroleum products, people, out of frustration, have started brewing fuels, known as ‘bio-diesel’ at home. Other vehicle owners are finding ways and means to increase their car mileage. The addition of certain fuel additives will completely consume the fuel and effectively increases the gas mileage, which increase the horsepower. In addition, many technological improvements have introduced the concept of the usage of renewable energy, particularly solar energy to power the vehicles and electric cars are gaining in popularity these days.